An electrical engineer before she became an IP and trademark attorney, Caroline is extremely adept at counseling clients’ on the selection and registration of their trademarks and the enforcement of those trademarks in the virtual world. When clients need a seasoned trademark professional who can deliver services in a prompt and cost-effective manner, they call Caroline. With 25 years of experience clearing and registering marks, Caroline knows exactly what can and cannot be protected, how to overcome obstacles and how to get clients where they want to be. This in turn gives her clients the confidence they need before launching a new brand. 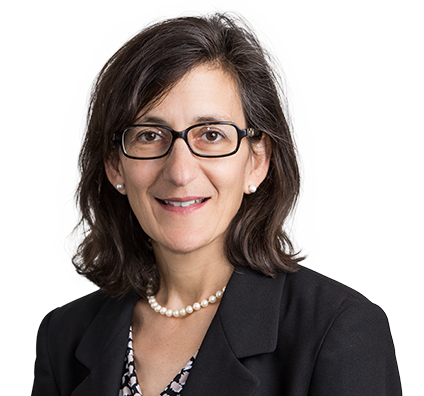 Not only does she provide sage counsel on trademark selection, her informed perspective helps clients avoid wasting money on weak or unenforceable marks. Caroline’s experience over the years also has allowed her to establish a niche in developing and implementing enforcement strategies for combating trademark and copyright infringement activity on the internet. Whether it is reclaiming domain names for her clients through negotiation and arbitration or shutting down a website, she has seen it all. Challenged by a multimillion-dollar company, a budding entrepreneur enlisted help in clearing and registering her mark so she could return to building her new business. Caroline analyzed the facts, researched the opposing side, and studied the complexities and nuances of legal decisions in this sphere, and in so doing, cleared the way for eventual trademark approval and registration. Led diverse group of international experts in trademark and consumer protection laws to develop additional rights-protection mechanisms for brand owners in anticipation of ICANN's rollout of more than 1,000 new gTLDs. Drafted and prosecuted numerous Uniform Dispute Resolution Policy complaints to successful resolution. Efficiently negotiated settlements of scores of online disputes, allowing clients to get back to business. Assisted clients in clearing trademarks before launching new products or services on global basis. Running, reading and—thanks to her daughter—rabbits are three of Caroline’s favorite things. Sprint triathlons used to be Caroline’s specialty sport; now she has little time to train but fits in running several times a week. 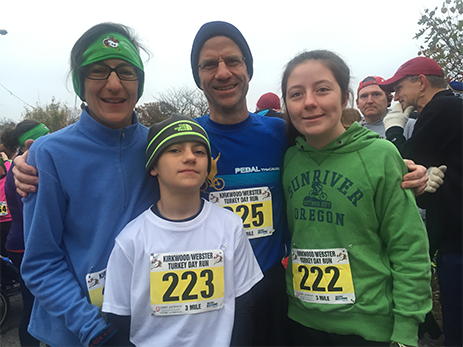 She and her family also participate in the annual early-morning Kirkwood/Webster Turkey Day 5K run when they are in town. A bunny entered the family home several years ago after the Chicoines’ thoroughly determined daughter presented a PowerPoint® brief on the advantages of bunny acquisition, and the rest is history. 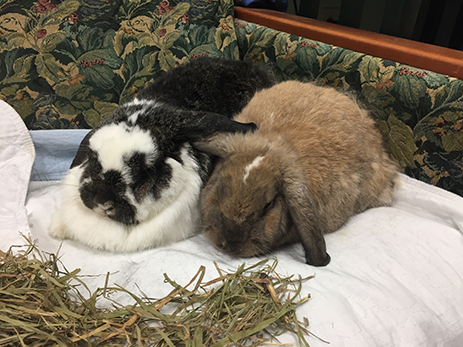 Luna (bunny on left) hopped into their lives and with the assistance of the Missouri House Rabbit Society; Blaise soon followed. “We love them,” Caroline says. She and her daughter and son also volunteer at the nonprofit organization. Caroline actively supports social justice, faith and educational initiatives in her community. She helps lead the National Charity League, which supports two dozen philanthropic organizations in the St. Louis area. She also provides legal assistance to people who cannot afford to pay. In addition, Caroline is actively involved at her parish, preparing casseroles for the St. Patrick Center’s Casserole Program and purchasing the supplies for the weekly 200 sandwiches her parish provides to the St. Vincent de Paul Parish’s Sandwich Window. A strong supporter of education, which prepares tomorrow’s citizens and leaders, Caroline drew upon her engineering expertise when she coached a middle-school LEGO® robotics team. And at her children’s public school, which has an honor society for STEM students, she galvanized support for an English Honor Society. Caroline also is an adjunct professor of the Trademark Practice course at Washington University’s School of Law, as a way to give back to the university.